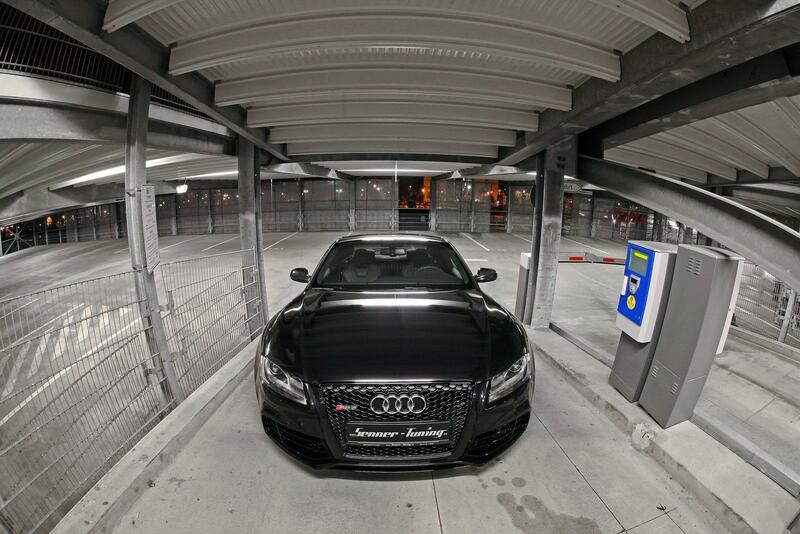 With 450 horsepower in stock form, the Audi RS5 is certainly no slouch in the power department. That however, hasn't stopped Senner Tuning from extracting a few extra horses from the RS5's 4.2-liter V8 - fifty six extra to be exact. 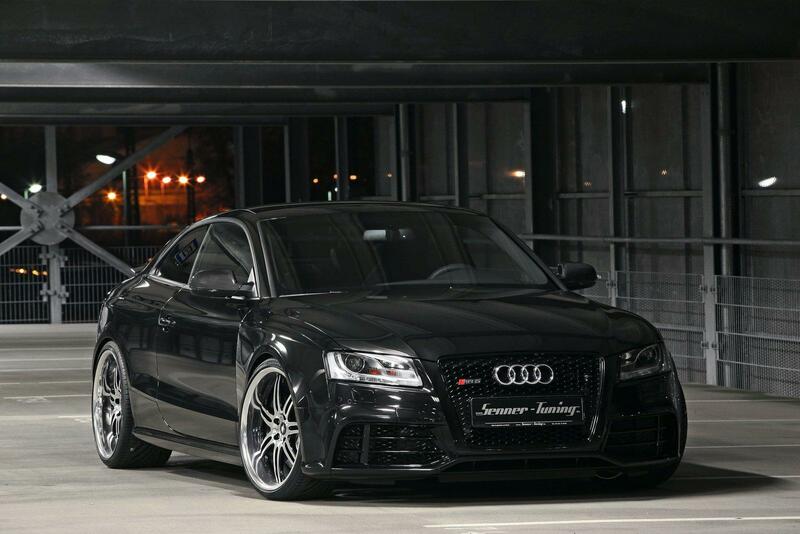 Upgrades of Senner Tuning's 506-hp RS5 include a new performance exhaust, Bilstein coilover suspension, 20" Varianza wheels and a few added touches of carbon fiber. Full details and photo gallery after the jump. 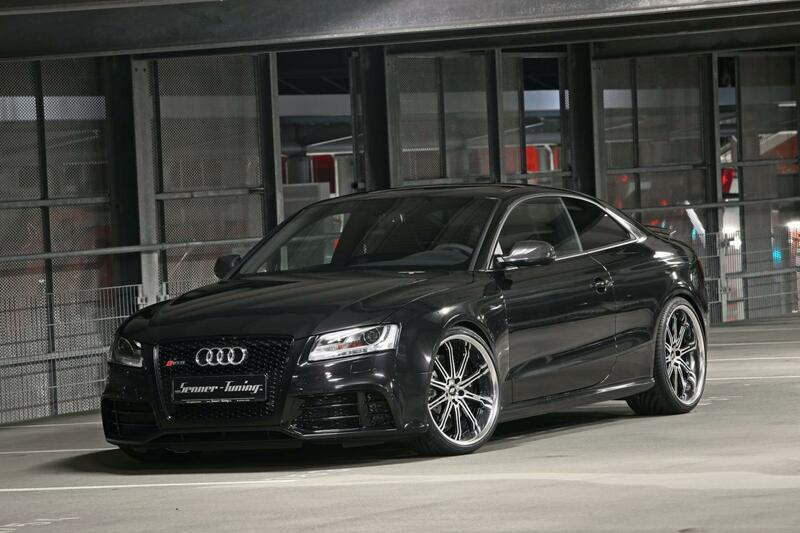 Surprisingly, only one major performance modification was needed for Senner's Audi RS5 to cross the 500 horsepower barrier. 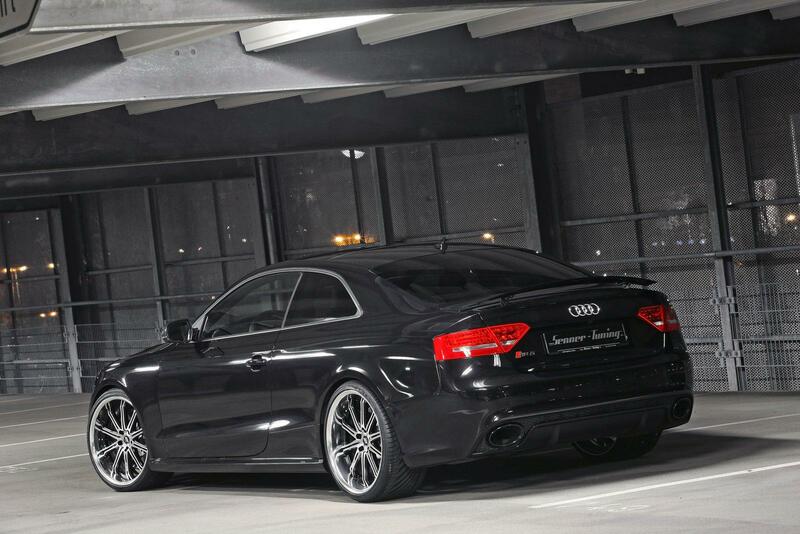 Senner Tuning replaced the RS5's stock exhaust with a valve-controlled stainless steel exhaust system along with an adjustment to zero-pressure monitoring. The result is a total of 506 horsepower and 352 lb-ft of torque. Enough for a run from 0-60 mph in just 4.2 seconds, on to a delimited top speed of 186 mph. 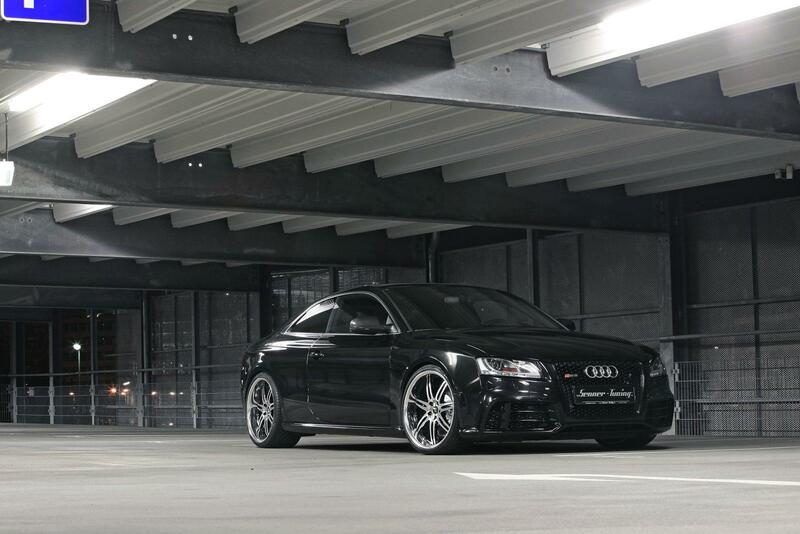 Handling and ride height of the Senner RS5 is modified thanks to a new Bilstein coilover suspension system; which allows for 10-stage adjustable damping in both the compression and rebound cycles. 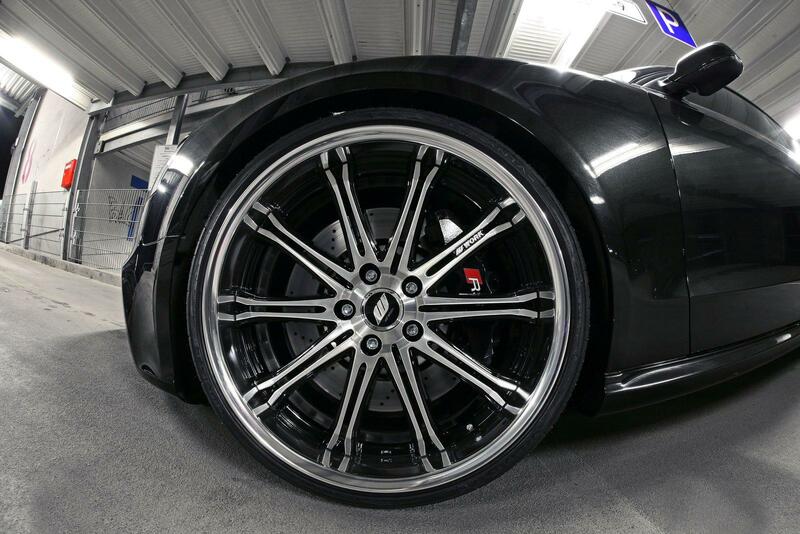 Matched to the new suspension are the choice of two different wheels from Varianza. Both 20-inches in size, the show car (pictured) displays the SC1 design on the drivers side and T1S on the passenger side. 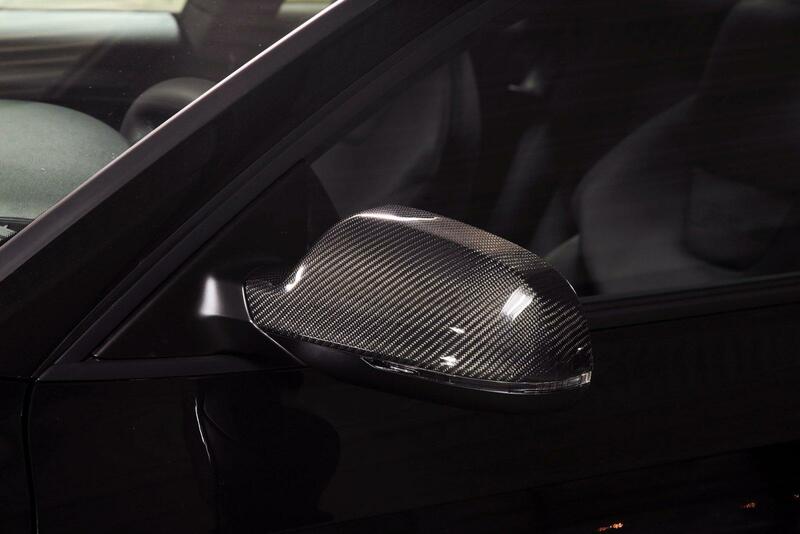 Rounding out the package, are carbon fiber side mirror covers, carbon fiber interior accents and "Black Edition" grille and window moldings. The total cost of the complete vehicle is about 113.900 €. The cost of reconstruction is 18.900 € including taxes and TÜV-registration. 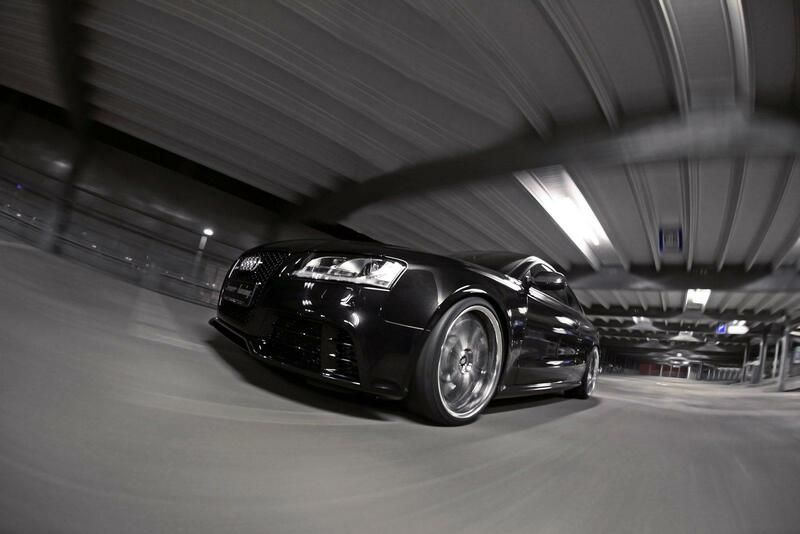 The experienced team of the Senner Tuning AG Company from Ingelheim willingly undertakes any possible challenges. 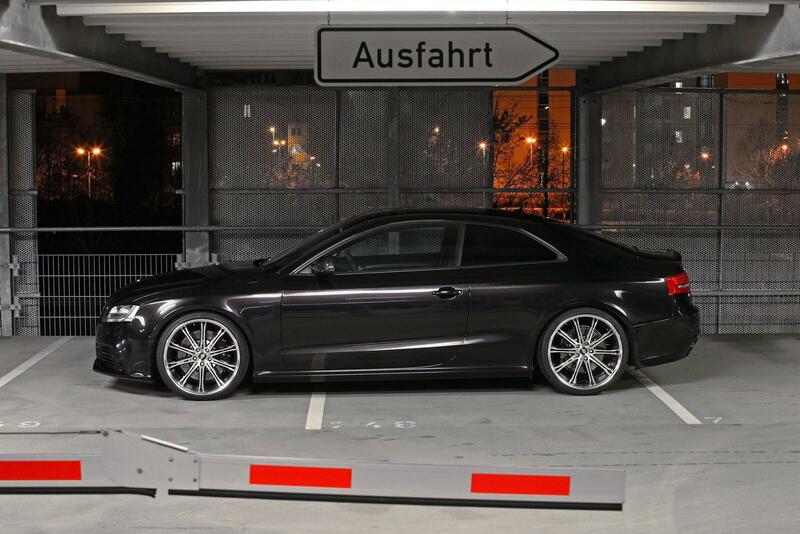 This time it was an Audi RS5 again - undertake a great power increase - the most powerful version of the model. And as Benno Senner never leaves things to chance, there was not an unexpected result. The Bilstein coilover kit, called B16 PSS10, allows for 10-stage adjustable damping in both the compression and rebound cycles. For the demonstration purposes, different left and right rims of the vehicle were coated with respective coating: diamond black polish in dimensions of 9.5 x 20 inch at the front and 11x20-inch at the rear. 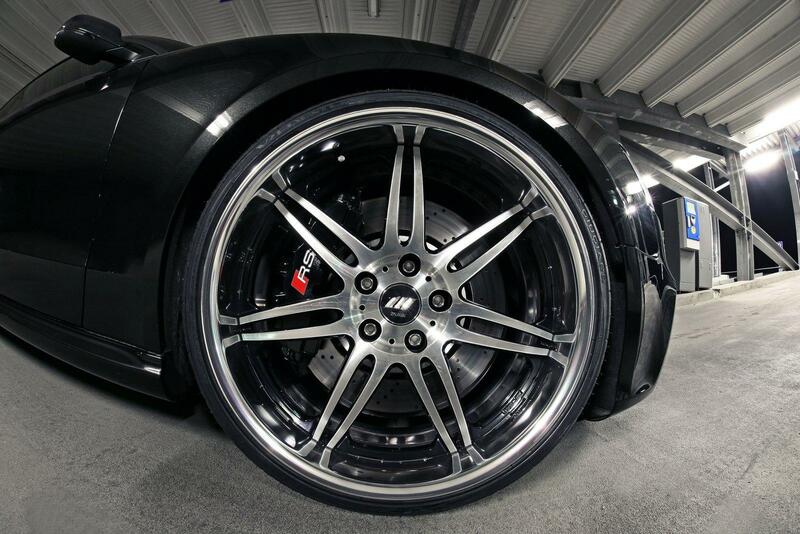 Driver side spider SC1 and passenger side Varianza T1S admire everyone with the Vredestein Ultrac Sessanta (XL) front 255/30R20 and rear 295/25R20 wheels. To increase performance, the valve-controlled stainless steel exhaust system was added, and zero-pressure monitoring was adjusted. As a result of such modification, the 4.2-liter V8 FSI engine, which has already provided 331 KW / 450 hp / 430 Nm ability, accelerated from 0 to 100 km / h in 4.6 seconds and provided an electronically limited top speed of 250 km / h, now provides 372 kW / 506 hp / 478 Nm and a sprint from 0 to 100 km / h in 4.2 seconds. The maximum speed limit has been raised to 280 km / h. It is possible to reach even 300 km / h, of course, only with changed tires. 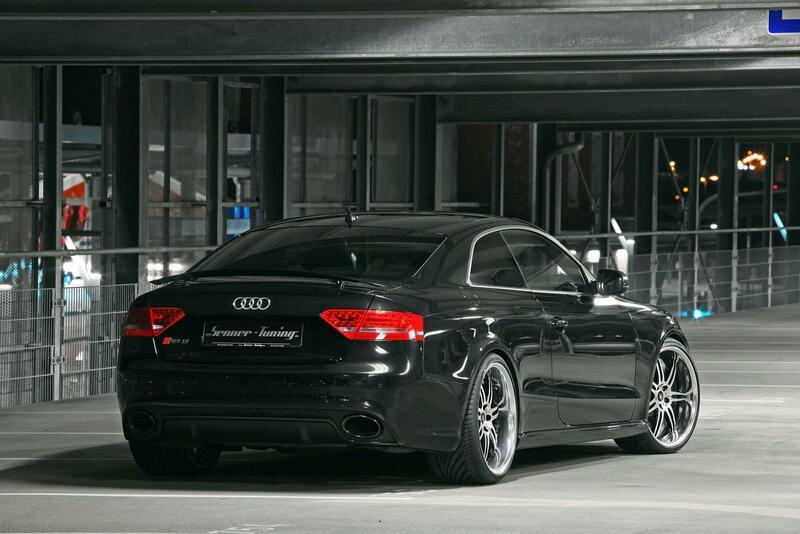 In a kind of elegance, the outer shell of the Audi features mirrors in shiny black 245 carbon fabric, additional front grille and window frames in the Black Edition. With regard to the electronics, it should be mentioned a power converter for amplifying the electronic gas signal and the possibility of DVD-activation while driving. 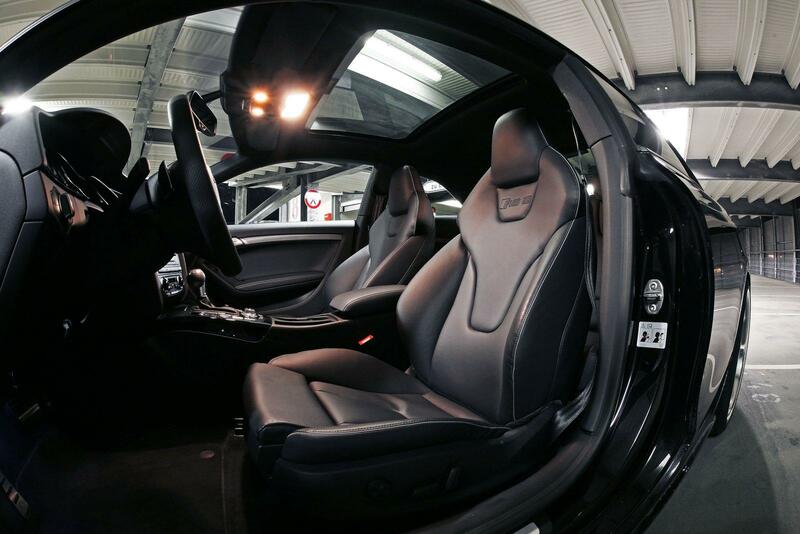 In addition, optional carbon fiber and custom leather trim are available on request. The total cost of the complete vehicle is about 113.900 €, the cost of reconstruction is 18.900 € including taxes and TÜV-registration. Incidentally, Senner Tuning AG also gladly assists in the purchase of new vehicles, and also addresses issues with regard to financing and/or leasing.